I have a planting bed that had lots of weeds - especially after a new load of cypress chips were put down. I removed the existing liriope and visible weeds. Now there is soil and chips. I want to put in new plants. 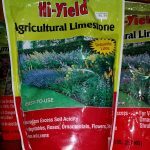 How can I treat the soil to discourage future weeds? How long before new plants can go in? I'm in Cocoa Beach, FL.